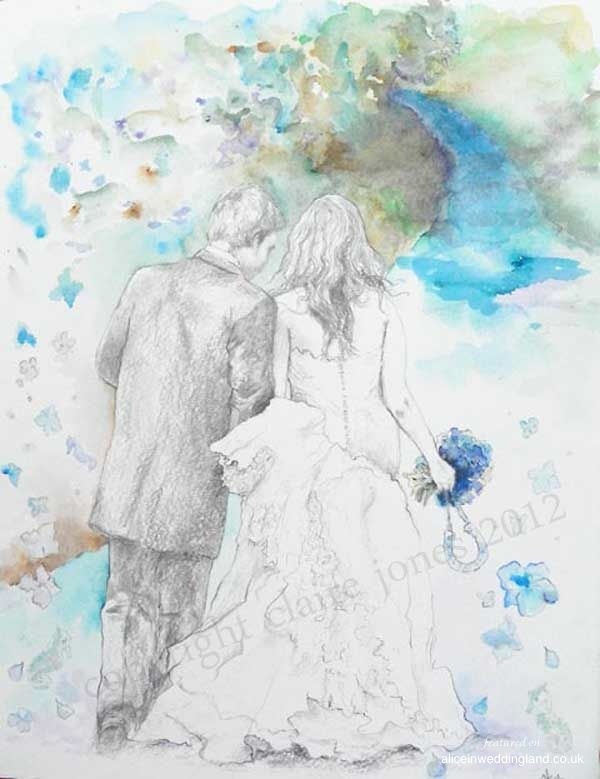 We have some stunning artists and creators shown throughout the unique wedding blog but I’ve never come across something so pure, so delicate and so unique as what I’m about to showcase today: wedding art! 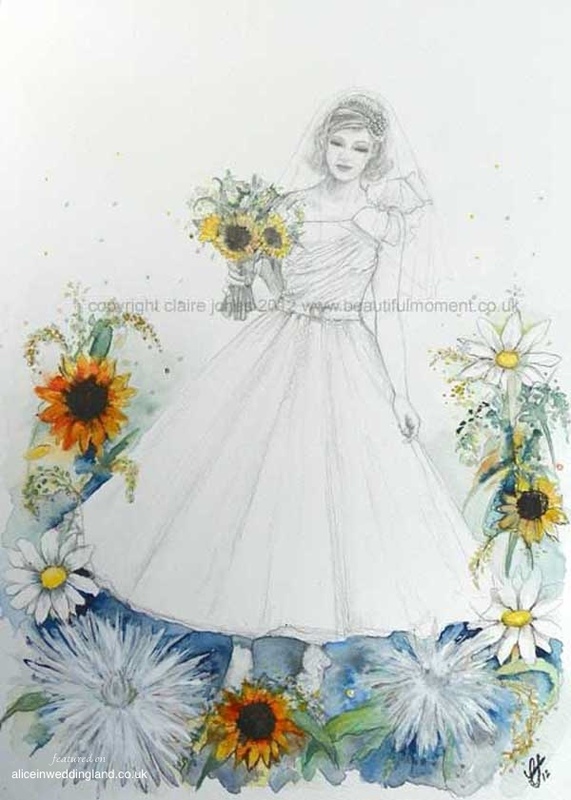 Moment is the brainchild of Claire Jones and is a new approach to remembering your special day through the use of contemporary artworks: Claire captures your Beautiful Moment through the use of portrait and floral imagery and turns it into your legacy. 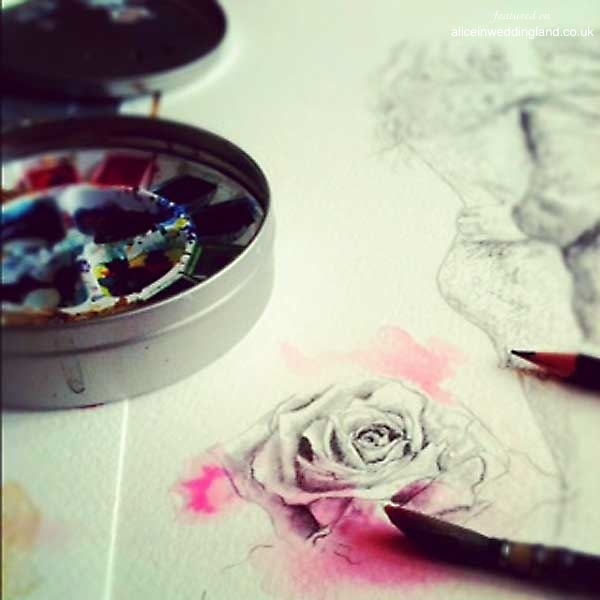 Her work is beautiful, delicate and inspiring! 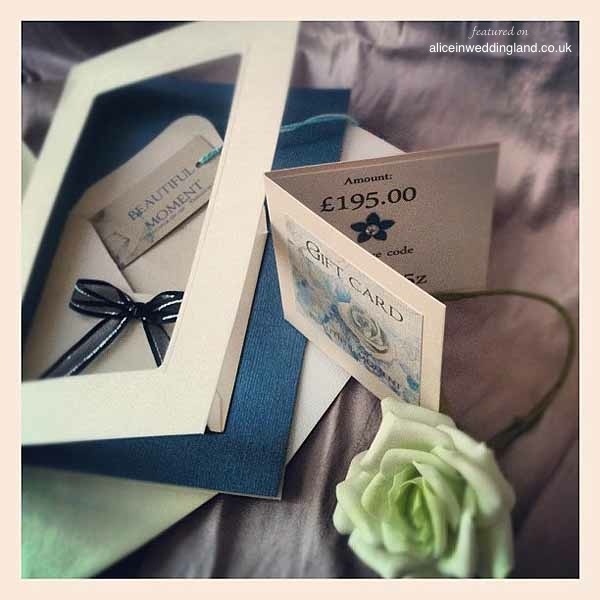 If you want something unique as a reminder of your wedding day, a Beautiful Moment is a beautiful gift. The above painting is my favourite. The colours are just divine! And the pose!!! The idea for Beautiful Moment artworks has come about really as a natural progression of me as an artist. 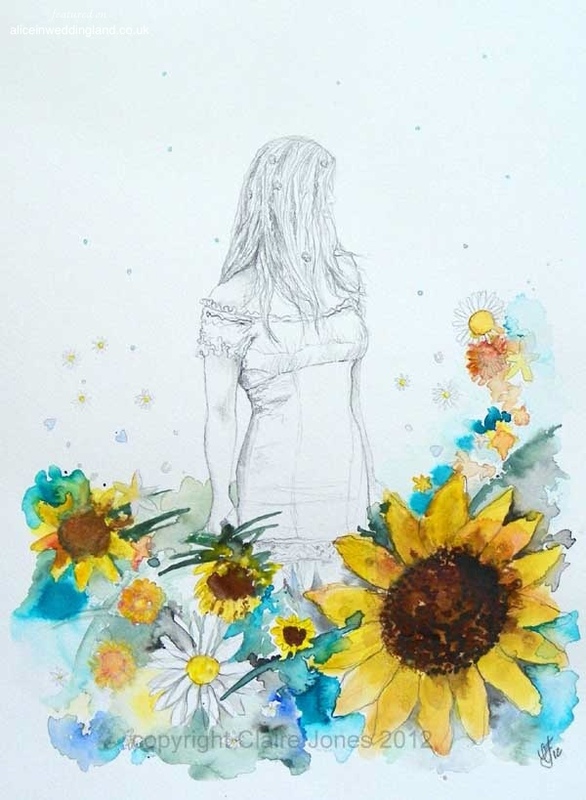 I have an honours degree in illustration and have always loved drawing people (especially women) and flowers, so I thought this was a way that combined the two and provided a gallery standard artwork that people can enjoy on their wall as not only a memory of their special moment but also a genuine piece of art that they can pass on to their families. 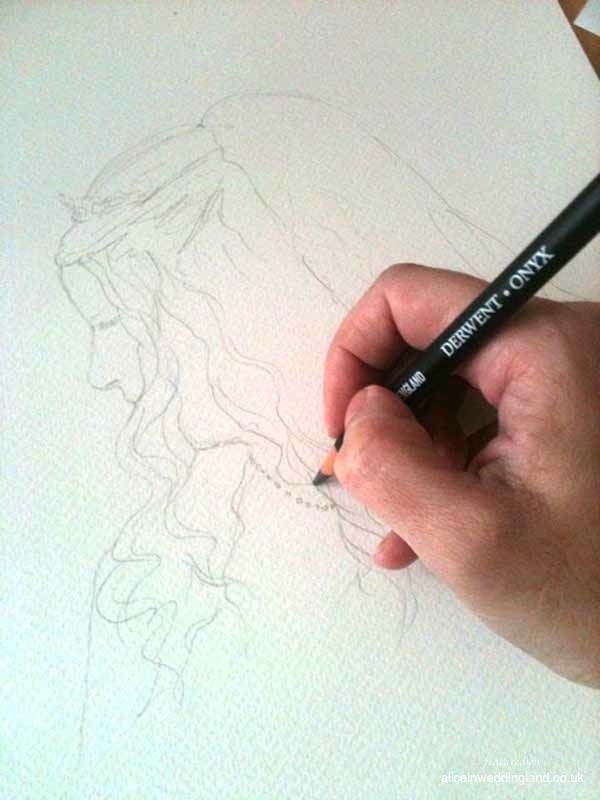 The current portrait I’m working on is for a couple who didn’t have brilliant wedding photography, so this is a lovely way for them to be able to have something they are really happy with to put on display. 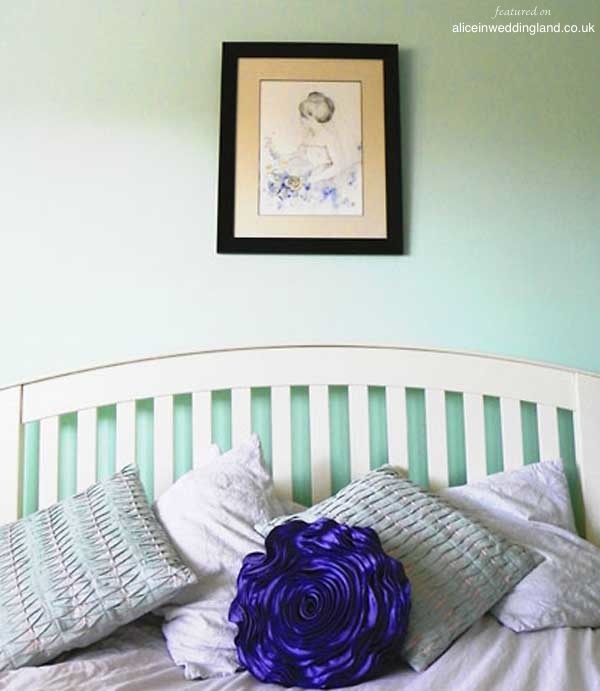 Its not only wedding portraits that I do though, Maternity artworks with symbolic flowers representing the gender of your baby or things you wish for them can be done as well as purely floral images. I did a floral heart canvas for a friend of her wedding flowers and entwined in the leaves and flowers are the names of her, her husband and son. It makes a great talking point when people come round and try to spot them as it’s very subtle! I love all things romantic and being able to capture that and put it down on paper or canvas is really rewarding. I have lots of portfolio images in the pipeline including a gorgeous Prom Gown portrait and I’ve also recently had two brides approach me to paint on their wedding shoes. 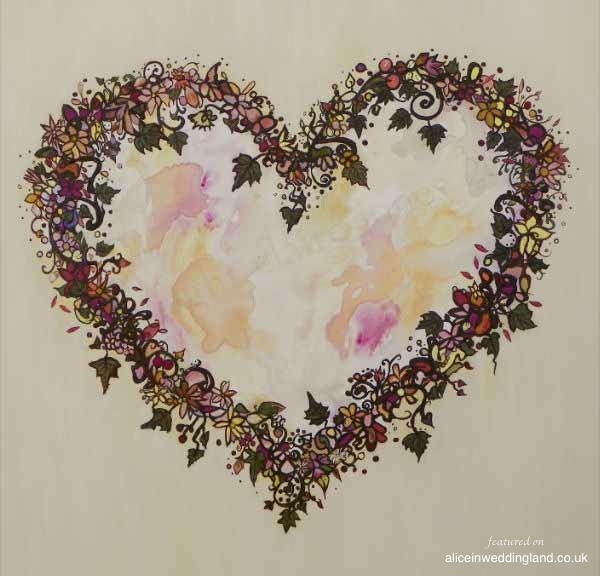 I’ve been transferring my artworks onto bags and other items too and am currently discussing a bespoke wedding stationary collaboration with Laurel Designs with whom I connected with on twitter. I’m always open to new creative ideas although time management is my hardest task, as I have a husband and two little boys to keep me on my toes. They are my world though, my biggest fans and a constant source of inspiration. When I discovered Claire through the Unique Wedding Directory I was really excited! Not only has she got a truly unique and stunning product but her execution is timeless! 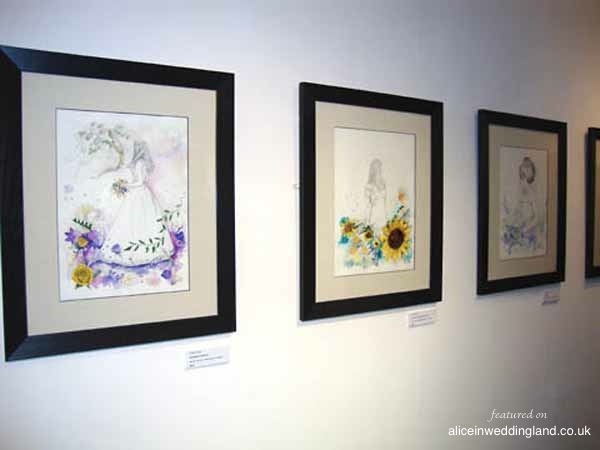 As a hobbyist, art is something I adore looking at and doing in its many forms, I have since I was really young but the one thing I struggled with was painting so I appreciate the impeccable talent Claire has of turning your wedding photo into wedding art. 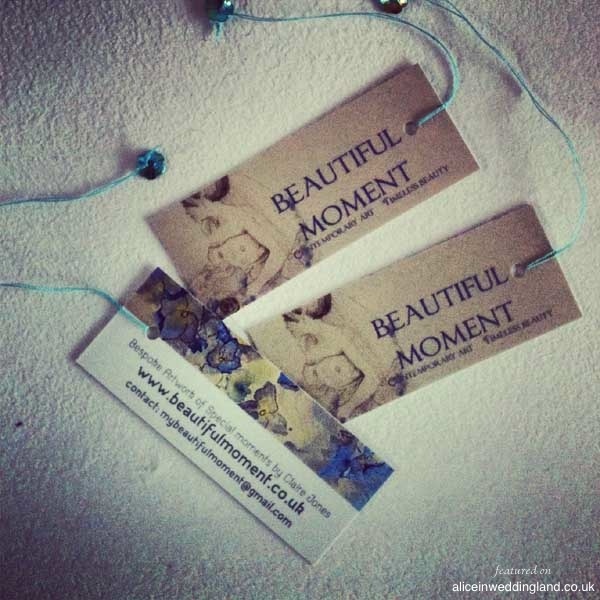 A Beautiful Moment is your wedding wow-factor: that unique piece, that memory that excites you most of all. The sort of memory that creates a beautiful legacy for your children in years to come. It’s art, and it stays alive through you. 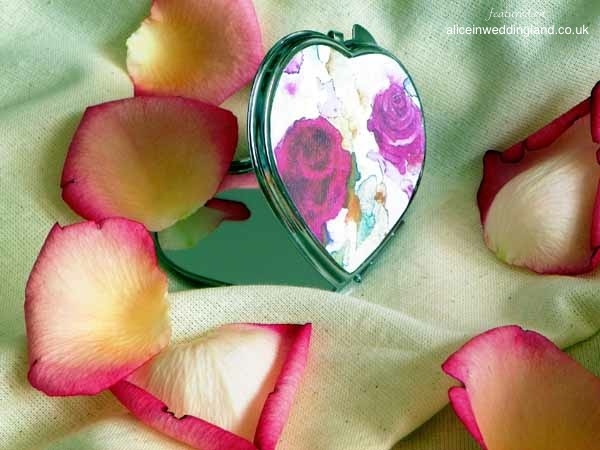 I adore the compact! To have a memory of my bouquet like that, I just love it! So delicate, so personal! 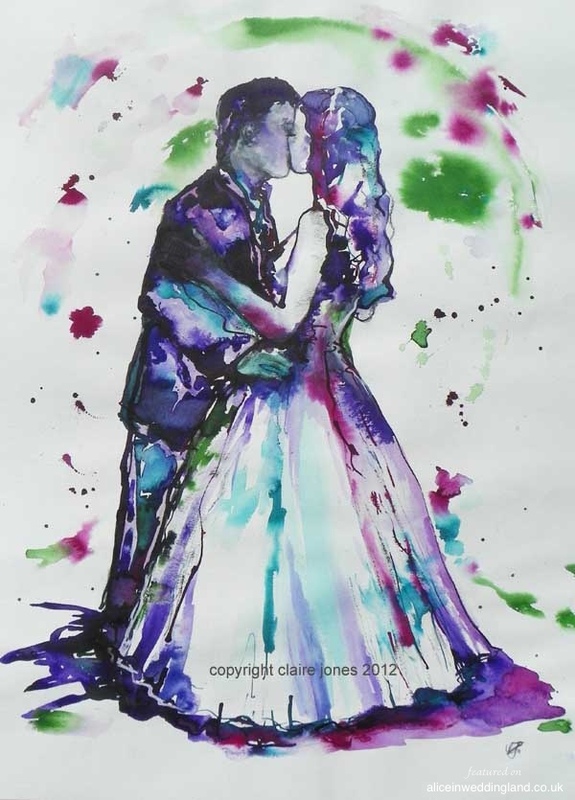 How about giving one of Claires paintings to your parents as a gift too. What I love about A Beautiful Moment is that they are breaking new boundaries in terms of ideas for your wedding. 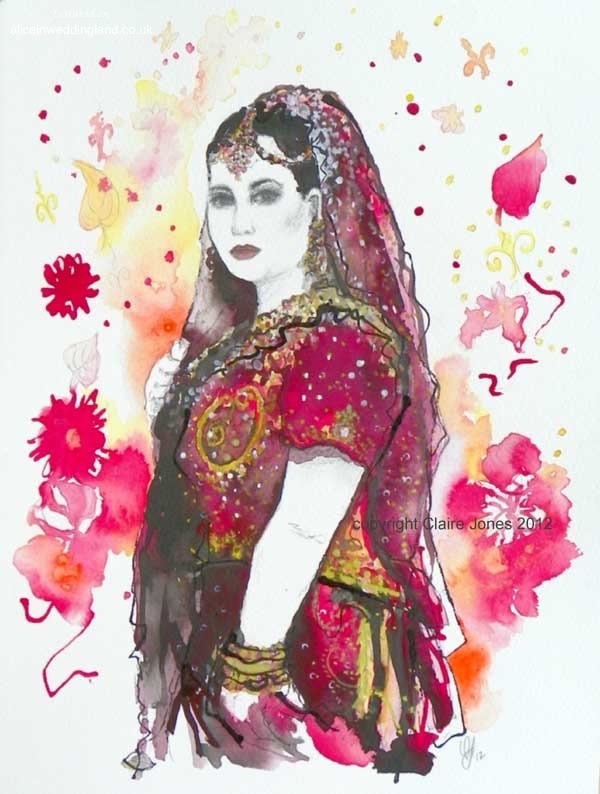 Thanks to the internet incredibly talented people like Claire are becoming available to everyone all over the world through a click and a whizz of an email. It really is that simple, well, from your end anyway 🙂 By emailing your favourite photo to Claire, you in turn get a masterpiece, an original, never to be seen anywhere else, that is personal to your story, to your life and to your love.